The American Chronicle published an extensive interview with Howard Renensland, CEO & Founder of [with]tv, on July 21. The TV network he is developing hopes to give people with disabilities access to information, employment, artistic expression and control of their media image. 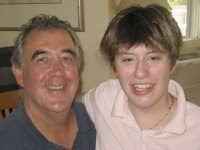 Renensland says, "My inspiration for [with]tv came from lifetime experiences of raising my daughter, Victoria, who was born with developmental disabilities. The moment we are broadcasting, we will overnight change the lives of people with disabilities by providing an authentic window into the community."